In the town of Goolwa in South Australia, growing relationships between local churches has given birth to a new ecumenical group who gather for prayer and fellowship. 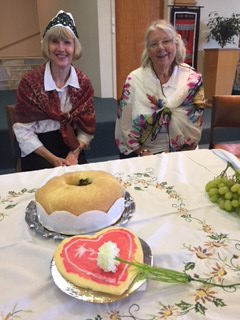 Rosemary Austin reports on its first gathering. World Day of Prayer, 1st March came from Slovenia. For our town of Goolwa, South Australia this was a wonderful celebration – all the churches came to gather together! Our prayers, as on the breath of the Spirit, then continued around the world. The theme ‘Come – everything is ready’ was an invitation to our hearts, to open and listen to the stories and lives of the women of Slovenia. In their isolation, trauma and injustice there seemed a calling to us, to see anew in our lives as brothers and sisters in Christ, ways to strengthen our communities, and in God’s love and Word through Christ Jesus transform our lives into welcoming, loving action. Catholic, Lutheran, Church of Christ and Uniting Church – continue to meet as one body in our prayer together. Our Numbers grow – which is good to know the word is getting around. We are keen to take it out to the young people in some way. So we are working on this as we journey!